PremierArtTM Eco Print Shield is a revolutionary new water based protective coating designed specifically for water resistant ink jet media. Its advanced polymer technology will not yellow or crack under stretching, and will never go brittle. Eco Print Shield protects all instant dry ink jet media from moisture, light, humidity, atmospheric contaminants, abrasion and even fingerprints. This ecologically friendly protective coating is available in a Gloss, Satin and Matte finish. No need to use solvent coatings again! Until now, only harmful solvent based coatings were used to protect ink jet prints. This revolutionary water based coating now allows you to replace your solvent based system with a ecologically friendly product. Eco Print Shield's unique advanced formulawas designed for instant dry ink jet media. 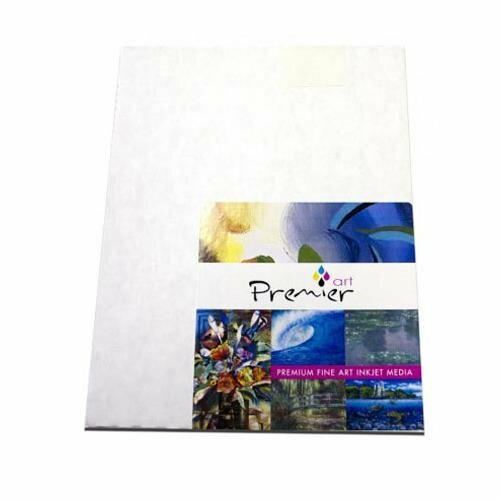 Eco Print Shield will double the print life of PremierArt Water Resistant Canvas for Epson. Chart on back. It is easily applied using a brush or roller, or can be sprayed using a HPLV spray gun.